Still haven't found the style or fabric you would like? 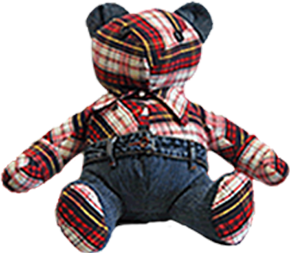 Rest assured, we can use almost any old garment or any type of fabric to make a bear. Choose a menu item above for more options and more pictures to look at!